This Saturday a metallic mass flew over the Mojave desert in California, United States. 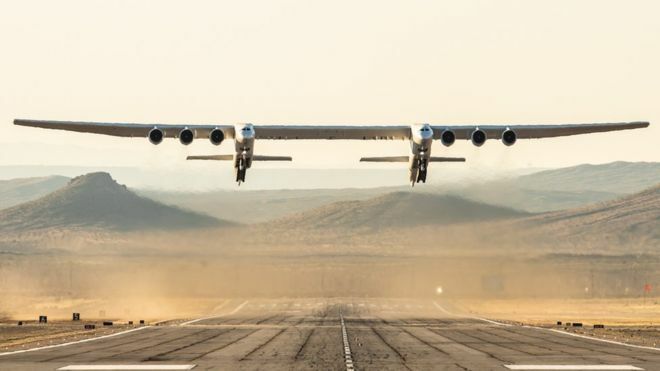 This is the Stratolaunch, an aircraft with six turbines, two fuselages, landing gear with a total of 28 tires and a wingspan greater than that of a football field. 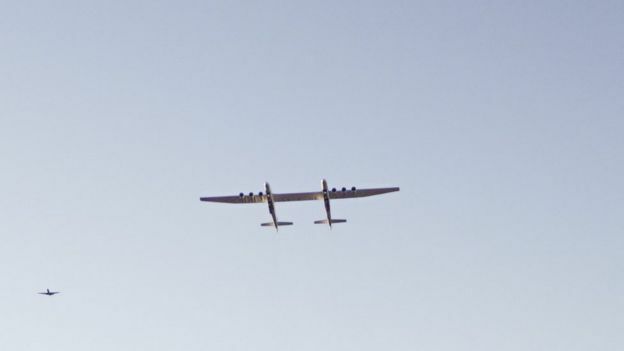 Image caption The plane flew over the Mojave desert, in California, USA. 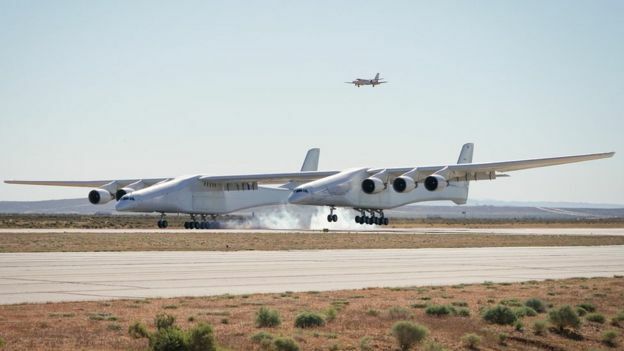 The plane, considered the largest in the world, was created by the company Stratolaunch Systems, founded by the late Paul Allen, co-founder of Microsoft. During his first test flight, the Stratolaunch was in the air for two and a half hours. It achieved a height of 5 km and a maximum speed of 680 km / h .
Image caption The ship can load more than 220 tons. The pilots of the aircraft evaluated the performance of the aircraft and performed control maneuvers. 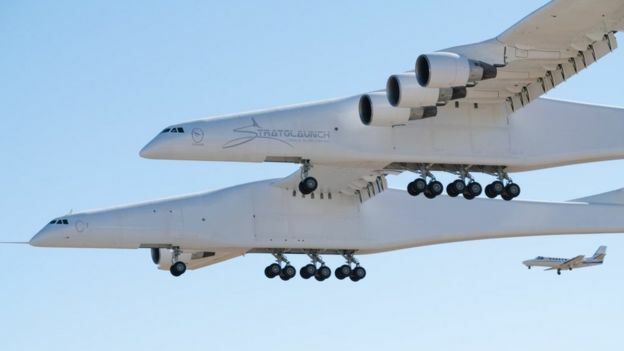 Image caption The Stratolaunch is designed to transport space rockets. The Stratolaunch was designed to function as a launch pad for space rockets. The aircraft can transport several vehicles for launch. 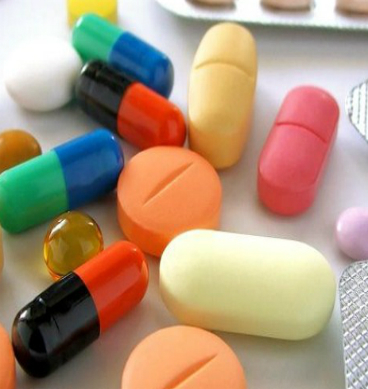 The ship can support a total load of more than 220 tons. 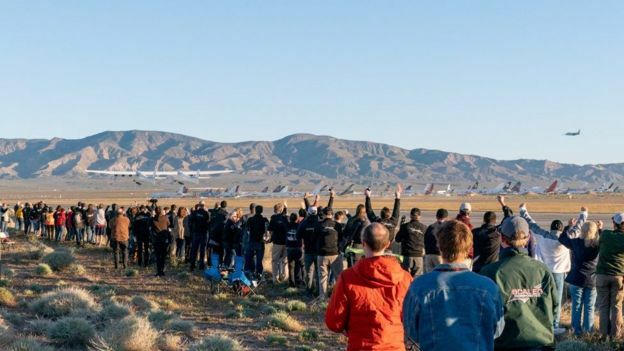 Image caption Its creators hope that the Stratolaunch will help reduce the costs of space missions. According to the specialized portal Space , the ship can transport rockets equipped with satellites and take them to an altitude of about 10 km. At that point it would release the rockets, so that they put the satellites in orbit. The creators of Stratolaunch hope that in this way the costs of space missions can be reduced.